I cannot believe how long it has been since I posted. Five months! I guess that’s what happens when you get a job–you have less time for your hobbies. One of the reasons I took so long to post this project is that I was giving it to a dear friend of mine as a wedding present and I only was able to send it off the other day. Only two pics (a before and after) but it was a fun project. 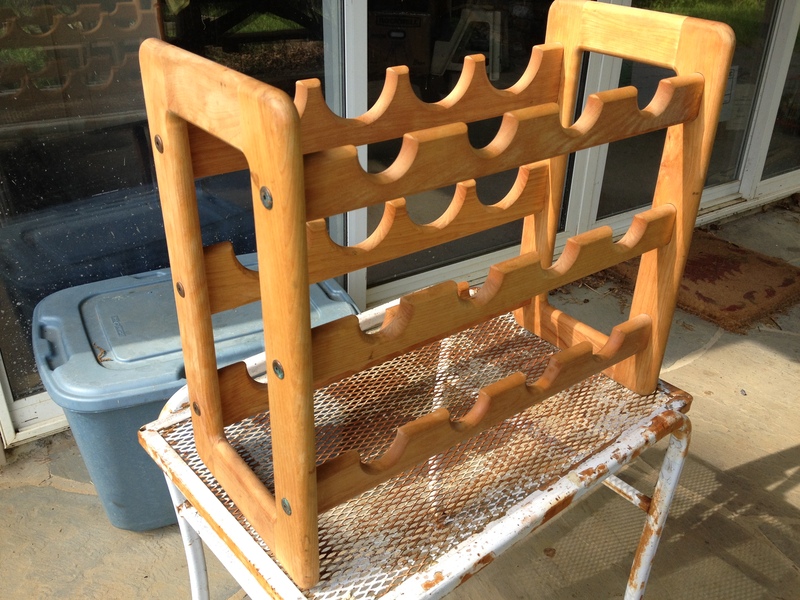 Because it was a wine rack. I find it somewhat fitting that my first commissioned job would involve a gun–my business really is starting off with a bang. Now that you’ve finishing groaning at my pun, I’ll tell you all about it. 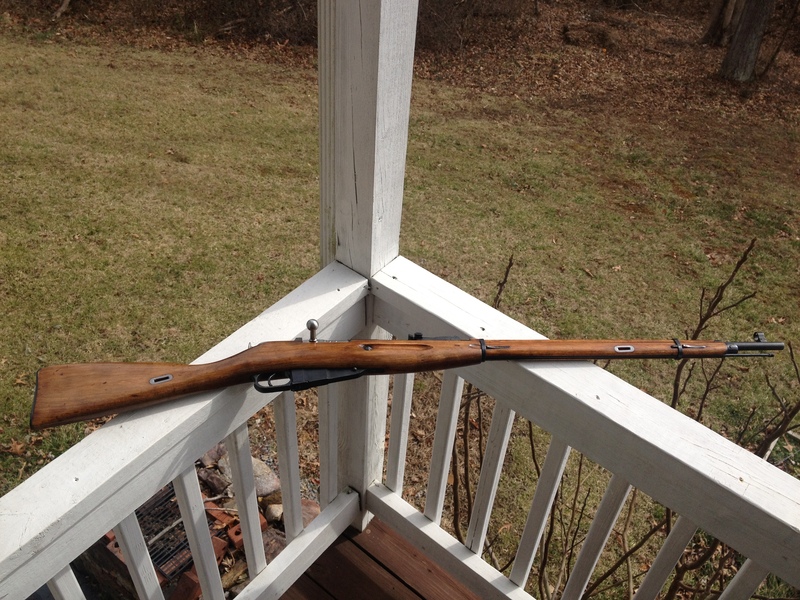 My brother owns a 1929 Mosin-Nagant rifle that was a bit shabby. It wasn’t too bad–just a little messy looking. I had him take off all the metal parts so I could just work with the wood. 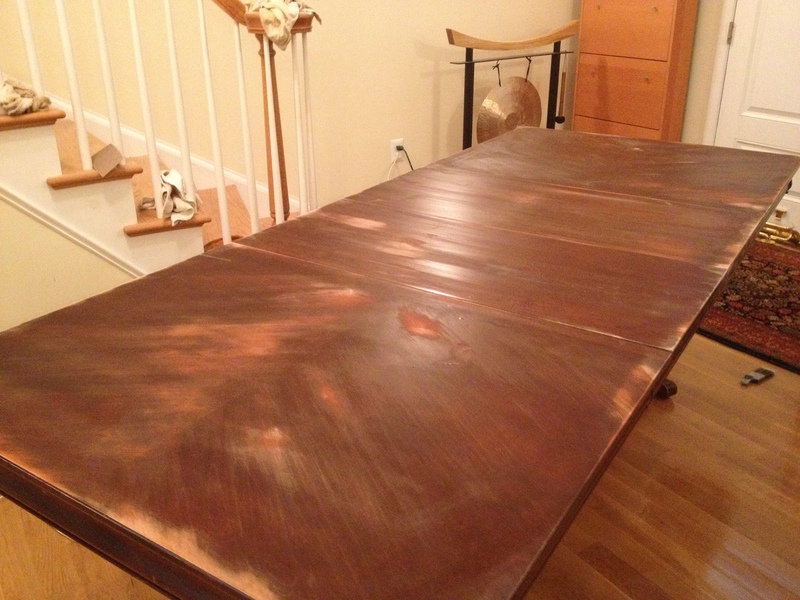 I won’t bore you with the details–it was the usual sanding, staining, and polyurethaning. 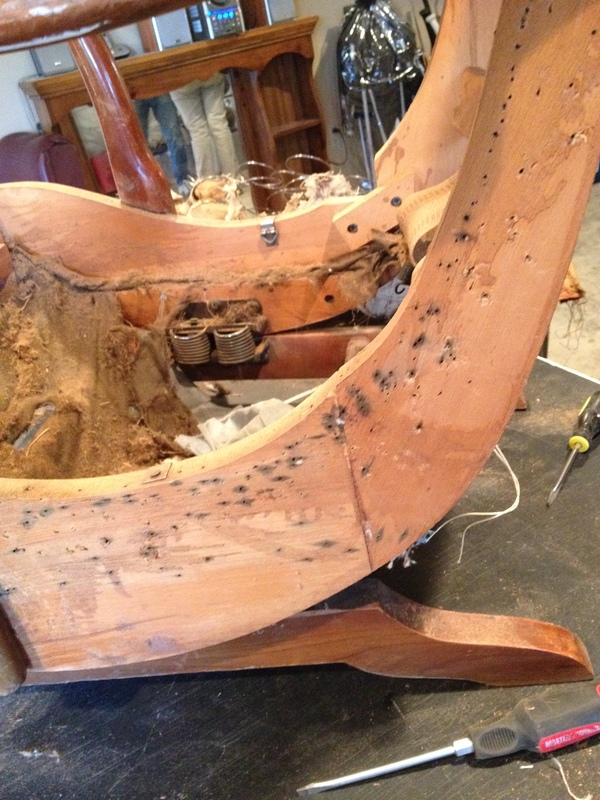 Though I will say this–I have never come across a piece that responded to sanding as well as this did. The finish came off as easily as dust from a mantle. The whole project was very satisfying and rather easy. It’s quite nice being able to maneuver the piece in my hands rather than have to move around and under it to get it all finished. In the end, it looked very good, if I do say so myself. Whoever coined the term “blank slate” must have been a genius. The term is used to describe exactly that–something untarnished by the stains of knowledge, opinion, sensory perception, the elements, the world. I was hoping to return this table to that precise state. 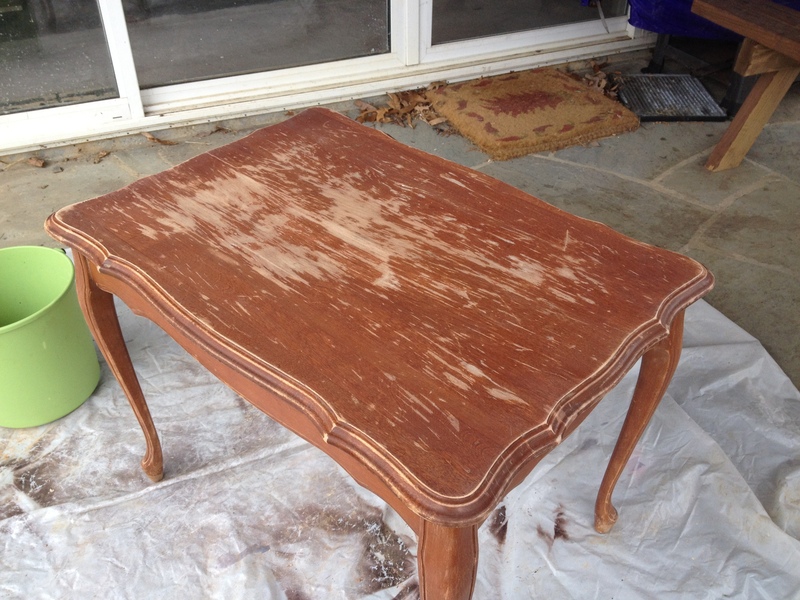 Yes this table was in bad shape, but it was all purely cosmetic. For example, those white marks came off super easily using a simple scraper. The look was much improved even after just some simple scrubbing. 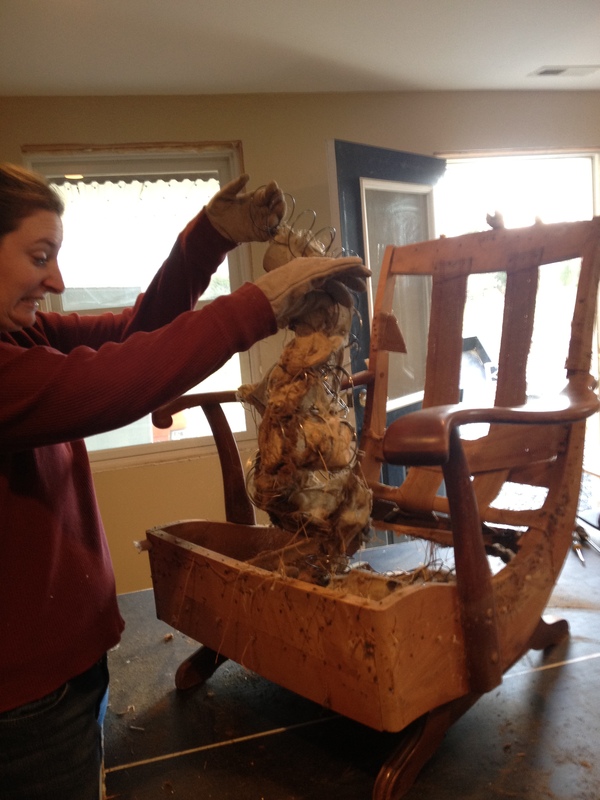 This portion of our blog is brought to you by Murphy’s Oil Soap and steel wool. No, you may not have my watch. Then the sanding commenced. A friend of mine was watching me (shout out to Emi) and she shneakily and shurreptitiously took pictures of me while I sanded away. This picture is brought to you by Target Brand Watches, All Rights Reserved. 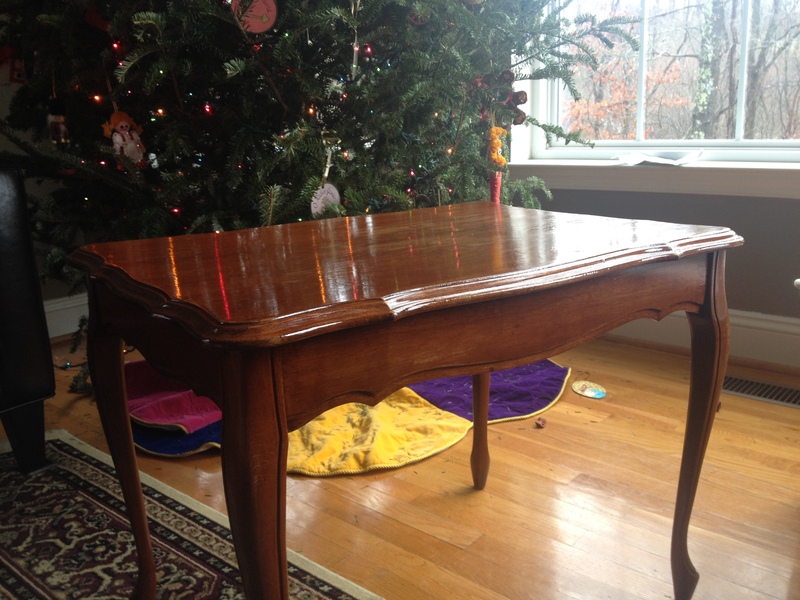 This table was rather a pain in the neck since it insisted on keeping this ugly deformity upon its surface. As much as I sanded, I couldn’t make it flush with the rest of the tabletop. I decided to make the best of the situation and stain it along with the rest of the piece. After it was polyurethaned and sanded a few times, it looked great. 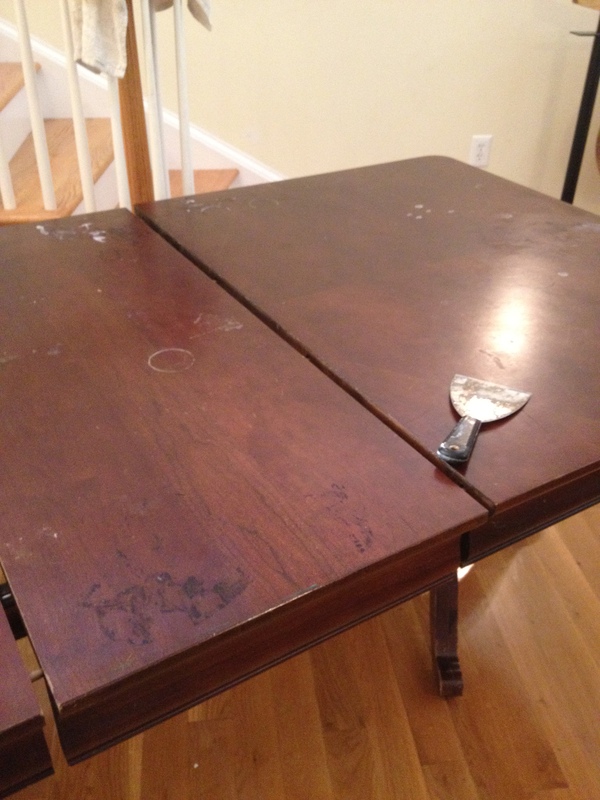 The table was never fully restored to a “tabula rasa” state, but I think it got close enough. Now it’s ready for more experiences and uses to make it a Tabula Plena. I am truly sorry for the long absence. As I’m sure most other people have experienced, I had a very busy holiday season filled with food, drink, and good company. And I want to wish each and every one of you a joyous new year! Unemployment is accompanied by many other perks and disadvantages, two of which being 1) extra time on one’s hands and 2) a lack of sustainable income. These two factors propitiated my resolve to make as many Christmas presents as I could this year. And since I come from a family of nine kids, this is a tall order. Especially for someone only recently in touch with her crafty side (i.e. me). The subject of today’s post is one such present. My 19 year old sister recently acquired a record player and has taken to purchasing music in that format. While records are fun to collect, they are rather bulky and can take up a lot of space. So I decided to build her a record box for her Christmas present. My dad told me I could use some spare wood he had leftover from some shelves he built, so one night I set about throwing something together. The box, in its state of potency. Inching towards a state of actuality. Tada! Incredible what can be done at 10:30 PM. 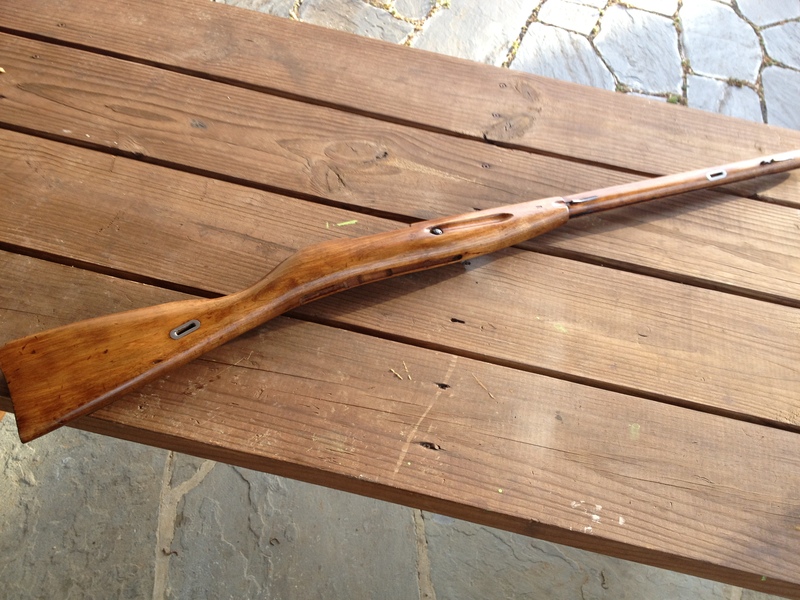 The next few days were spent sanding, staining, resanding, restaining, finishing, and refinishing to finally make it look worthy of its record-holding duties. 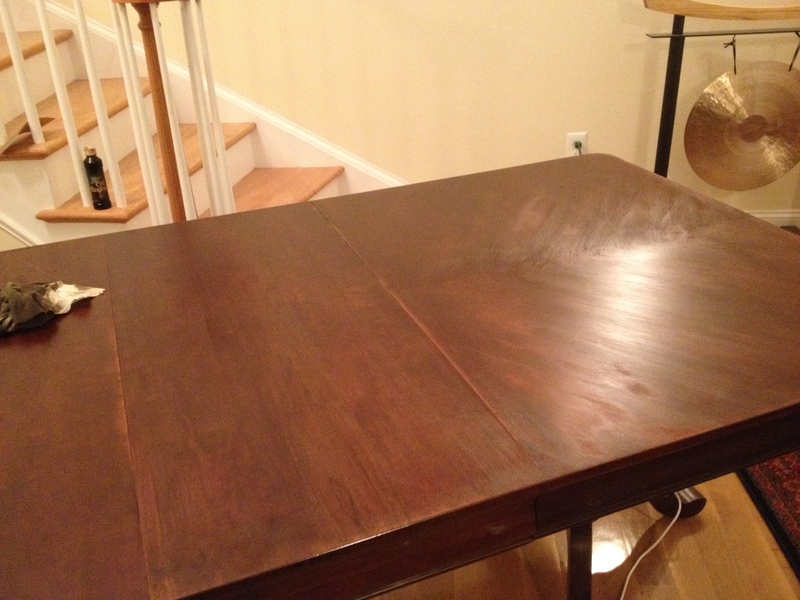 I used the same stain and polyurethane from my great grandmother’s table (see previous post) but gave it an extra coat of stain to make it darker. The box, in its state of actuality. I have a book of vintage 1920’s ads (which is pretty rockin’ awesome) so I cut out two of them and used them to decorate the sides of the box, covering them with polyurethane to give them some nice gloss. I am dreaming of a white Christmas, don’t worry. But I always enjoy 75 and sunny in the beginning of December. And such pleasant weather facilitates my furniture hobby quite nicely. This project is one with sentimental value. 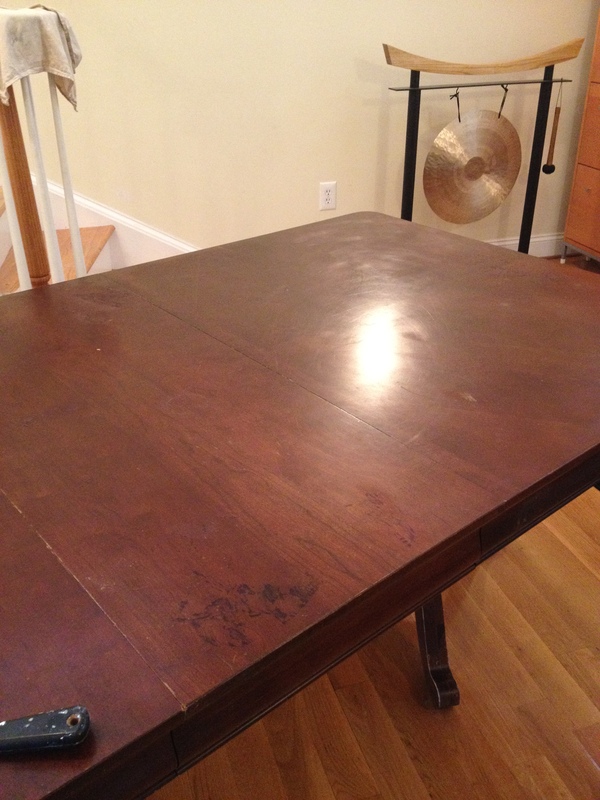 The subject is my great-grandmother’s kitchen table, from the early 1900’s. Maura was unable to help me with this project, so I was on my own once again. Note the edge closest to the foreground. That stuff, whatever it was, was ridiculously hard to get off. 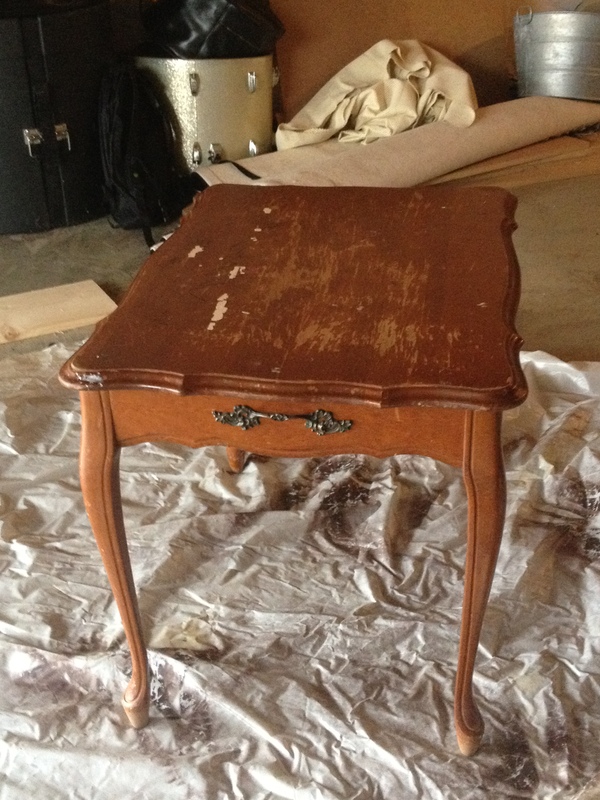 It took lots of scrubbing, sanding, coaxing, and bribing. The first step was to scrub the whole thing down and take off as many marks and spots as I could. 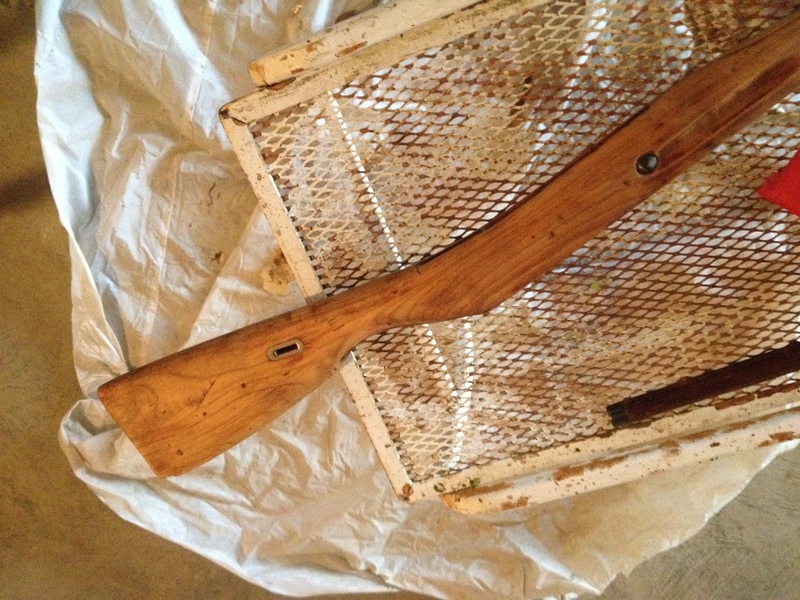 The next step to tackle was filling the holes and imperfections with wood-filler. This was my first experience with the stuff, so I sort of learned by trial and error. There were dozens of tack marks on the edges and a few dings and scratches on the surface that required TLC. Sanding commenced forthwith. One of the hardest parts of this project was trying to remove the strange substance from one of the edges. It looked like old tape residue, but I’m not quite sure. It took a long time with a scraper and a sander to make it look semi presentable. After blood, sweat, and tears. The rest of the sanding was much less taxing. Though, if you’re ever using an electric sander, remember to check the paper often–I have found that the paper frequently gets a gunky build-up which the heat of the sander then transfers onto the surface you’re finishing. So make sure to keep an eye on what you’re doing. When the sanding was finished, a sense of accomplishment started setting in. 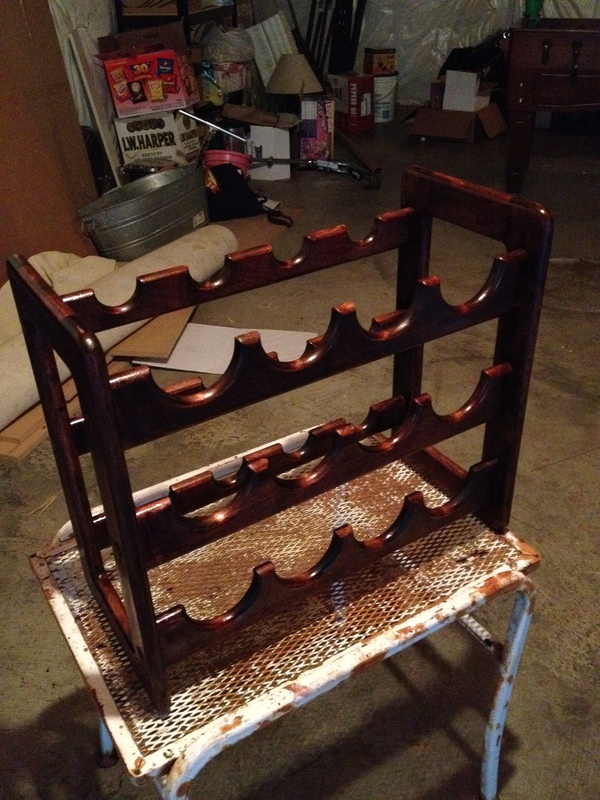 Then came the staining. 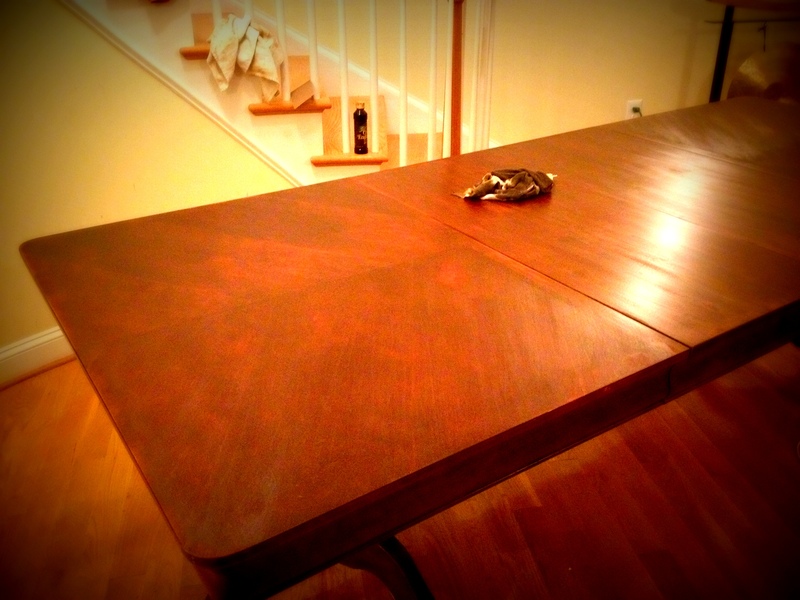 I am inexperienced in the choosing of stain, but I decided on the English Chestnut shade from Miniwax. And the color was very satisfactory. The final and most rewarding part of the project was the finishing. I was also unfamiliar with the different types of varnish, so I decided on an oil-based polyurethane finish–Miniwax Fast-Drying Clear Gloss, to be exact. Since the finishing process requires multiple coats, and drying time between each one, I waited until the next day to finish. I am quite proud of what I did. And very happy that I was able to preserve this little piece of my family’s history. Sorry I haven’t posted in awhile, but I’ve been a bit busy with the Holiday of Gratitude. Top that off with the entrance of a new niece into this world, and you can understand my neglect. 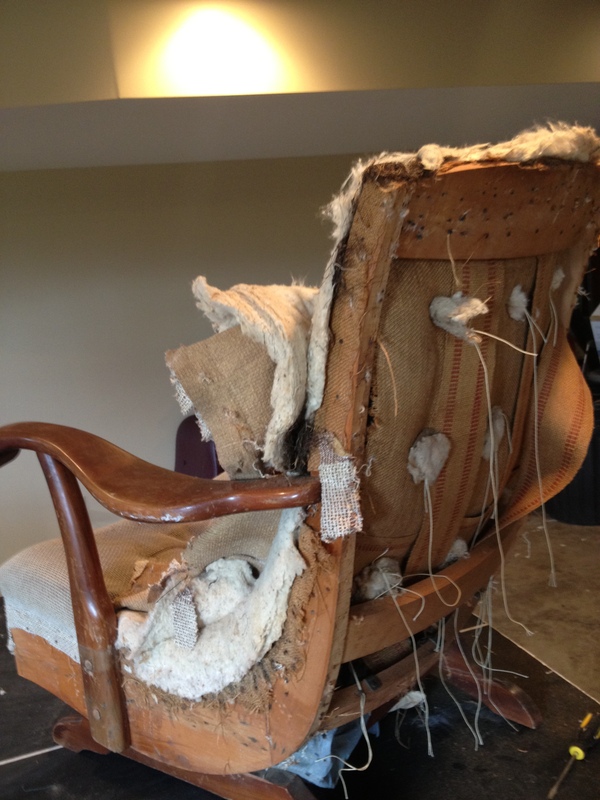 As can be expected with such a piece of furniture, we had a lot of destruction to do before we could even consider making it look presentable. Greeting us under the fabric and padding was a veritable jackpot of dust and other furniture debris. Needless to say, we refrained from getting pictures. Now, this stage of the process is satisfying, but also somewhat discouraging. That first look at the task ahead is always a bit daunting. Those are nail holes. Lots of them. I think the count is up to about 439. As you can see in the picture above, our next task is going to be to sand the whole thing down and fill the nail holes with wood filler. 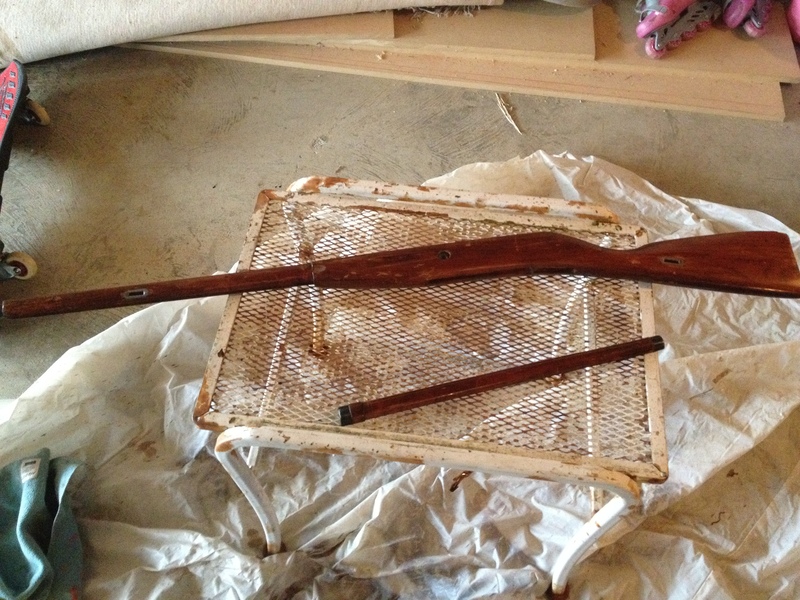 After that, we’ll sand it again and work on staining and finishing it. Hey, not too bad, eh? 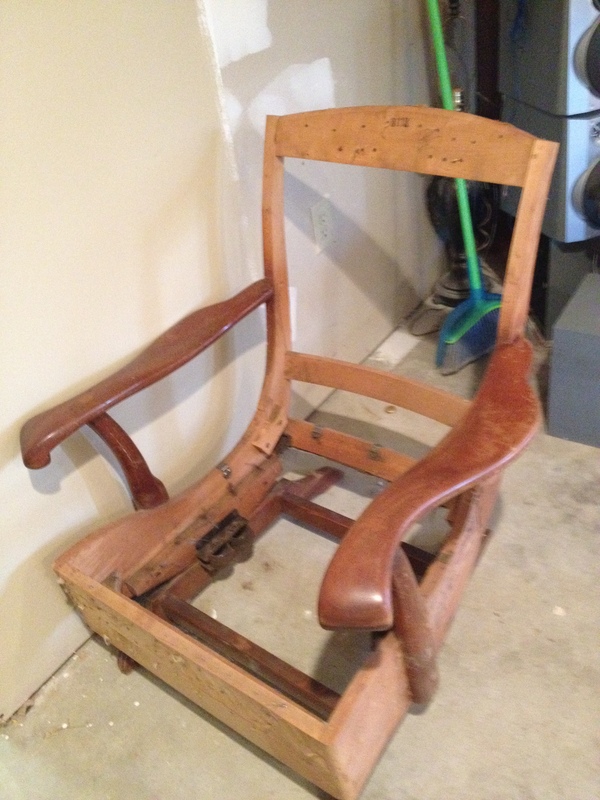 We are planning on doing a new cushion for the seat, but we’re not sure what we’ll do for the back–we’re leaning toward putting in another slat and keeping it wood. Anyway, we have our work cut out for that. A trip to Lowe’s is due in order to get a few things we realized we desperately need. Who Knew That Distress Could Be Good? Distress: a state of danger or desperate need. This project came hand in hand with the dining room chairs (See previous blog post) and consisted in the dining room table accompanying said chairs. 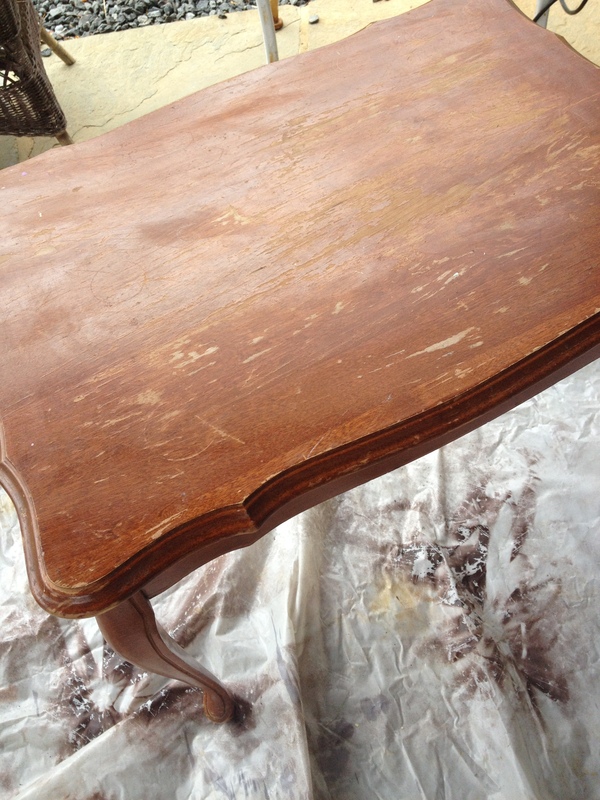 The day after tackling the chairs, I returned to my godmother’s house to undertake the cosmetic reworking of said table. My Dear Friend was unable to join me, so I was ridin’ solo. Like Jason Derulo. Wanna see a before picture? I’m afraid to show it. Before. Look at all that grossness! Water marks and ink stains. Yes. I scrubbed. Thankfully I had cocoa brought to me, which made the task lighter. Sanding is my favorite. I think I mentioned that before. 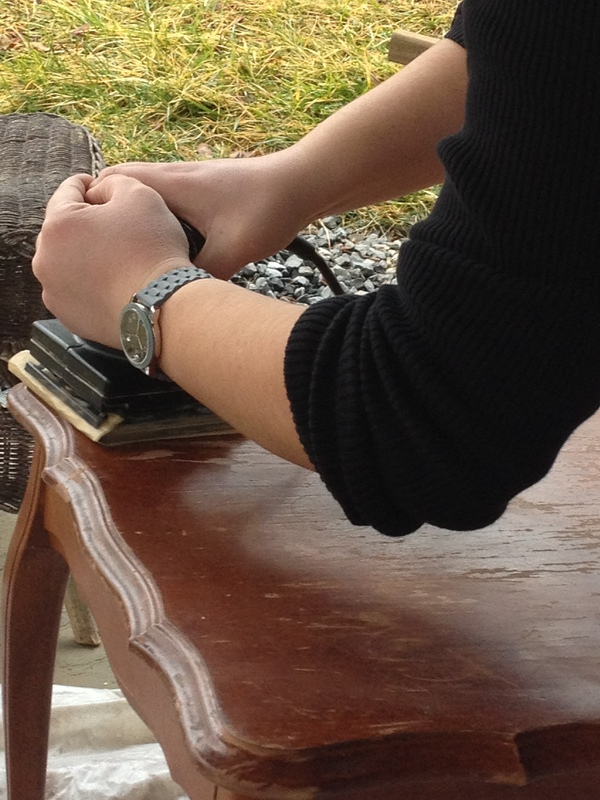 But you know what’s even better than sanding? I would like to direct your attention to the title of this post. 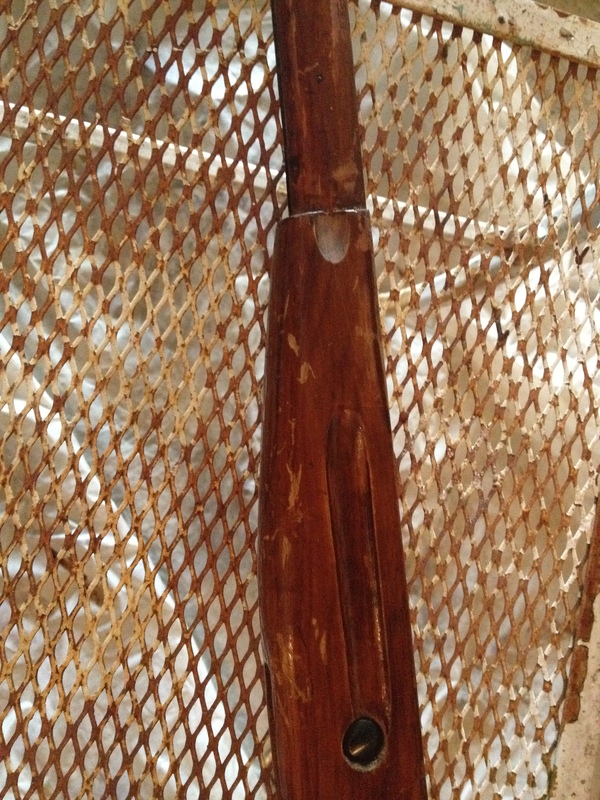 Now, distressing, as the word implies, involves stripping the wood to give it a worn, battered look. Like it’s in distress. This is considered tres chic, and you all know how chic I am. 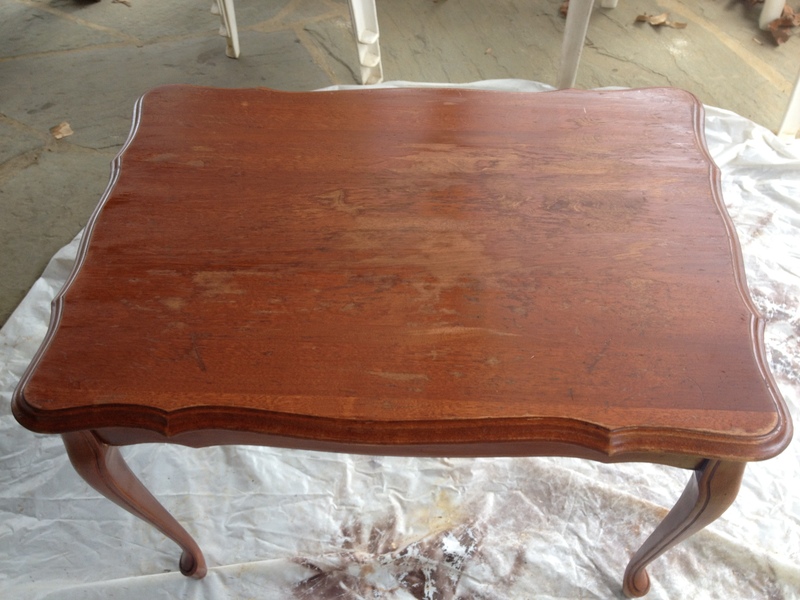 I worked on that table top for a good hour, with the invaluable help of my godmother, to make it looked as distressed as possible. Voila! Lots of distress going on. I highly recommend distressing wood to anyone. It is so very satisfying. Now all that was needed was a little polish before it was ready for the protective finish. And so I obliged. After. Woohoo!!! Compare to first picture. Yes, I won’t deny this was, for me, the most satisfying project so far.